US-based sports shoes and apparel supplier and manufacturer Nike has made a proposal to the Department of Industrial Policy & Promotion (DIPP) under the commerce and industry ministry to set up fully-owned stores in India. Single-brand retail policy allows 100 per cent foreign direct investment (FDI). Nike is listed on the New York Stock Exchange, is one of the world's largest suppliers of athletic shoes and apparel in the world with a market capitalisation of $68 billion. The company has been present in India since 1996 and currently operates through a network of local distributors and retail partners. 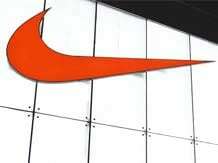 Nike's entry into India was through a seven-year licence agreement with Sierra Industrial Enterprises, which was later done away with to become a 100 per cent-owned subsidiary of the US parent company. "Nike welcomes the government's decision on foreign direct investment in single-brand retail in India. Nike currently operates its business here through local distributors and retail partners. This model works well for us and we may consider exploring opening Nike-owned stores in the future," the company said in an email response to Business Standard. Competing in the sports wear category with the likes of Puma and Reebok, which work through franchise and local supplier arrangement, Nike is first in the space to make a move to open 100 per cent-owned retail outlets. Swiss watch maker Swatch had recently made an application to DIPP for setting up own stores. Swedish fashion retailer H&M and furniture retailer IKEA are in the process of setting up their flagship stores through 100 per cent FDI route. Experts say the application by Nike is a sign of greater commitment of the brand to the Indian market. Fully-owned stores offer a lot more control over quality, consumer experience and give freedom to the brand to choose locations for stores. "It's a sign that a brand is here to stay for long," said Mohit Bahl, head of retail at KPMG in India.